Are you or someone you know in need of a marijuana addiction treatment center? Marijuana is the most popular illegal drug in the United States. It is a “natural” herb that gives users a euphoric and high feeling. After being used for a long period of time, users begin to build a tolerance for the drug and become more and more dependent on it. While it is not a physically addictive drug like crack or alcohol, it is mentally addictive. Users believe that they cannot function day to day without its use. It is important to not let marijuana control your life. Marijuana addiction treatment centers will help you be able to effectively overcome your addiction to marijuana allowing you to live a substance free, normal life that will not have the grave consequences smoking marijuana does. While most consider marijuana to be natural, most marijuana that is sold and purchased in the US has had chemicals and other things done to it during the growing process or distribution process. Even if you have a trusted dealer, it can still be contaminated and infected with other drugs. These substances can greatly affect the way you live your life and cause you to become hooked on other drugs. Living a substance free life is the way to go to be sure that you remain happy, healthy and have a life that is comfortable and normal. Not everyone’s definition of normal is the same. One thing that is for sure is that it is not normal to depend on marijuana in your everyday life. Marijuana addiction treatment centers will be able to help you overcome your addiction to marijuana. They will not be able to cure you or fix your problems for you, but will instead give you the tools necessary to work through your dependencies and addiction and be able to again resume a normal lifestyle. 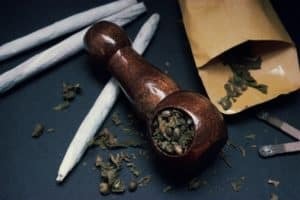 These treatment centers are a great place to start if you are trying to stop smoking marijuana and begin getting your life back on track or back to how it used to be. Marijuana is becoming legal in several states. As of 2016, there are 25 states that have legalized marijuana usage to an extent. Even though it is legal, it does not mean that it is legal outside of the individual state guidelines. It also does not protect you if you are in any of the states where it is not legal. Marijuana is still considered an illicit substance and users should be aware that there are grave consequences to using it. In most states, there is jail time and other penalties even for having a small amount or having something that can be used to smoke it. It is important to stop using the drug and to begin becoming independent from it to cut your chances of being arrested, fined or jailed just from smoking the drug. We also have more information about other types of Addiction Treatment Centers. If you are trying to reduce your marijuana dependency and addiction, marijuana addiction treatment centers will be able to help you. It is important to remember that in order for them to help, you must be ready and willing to stop using marijuana and be prepared for a long journey that may last your whole life.